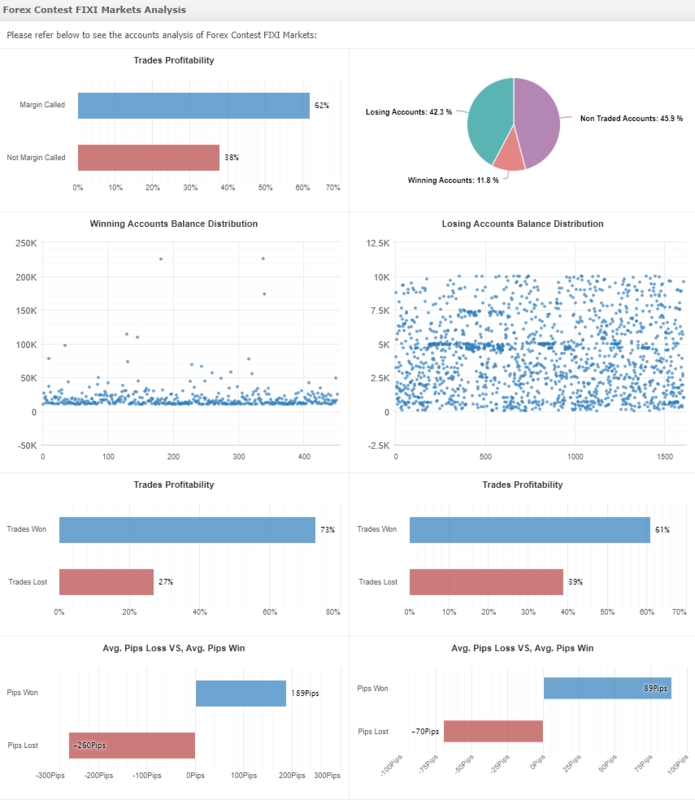 Trades profitability was very much similar between winning and losing accounts: 75%/59% of winning trades and 25%/41% of losing trades, respectively. 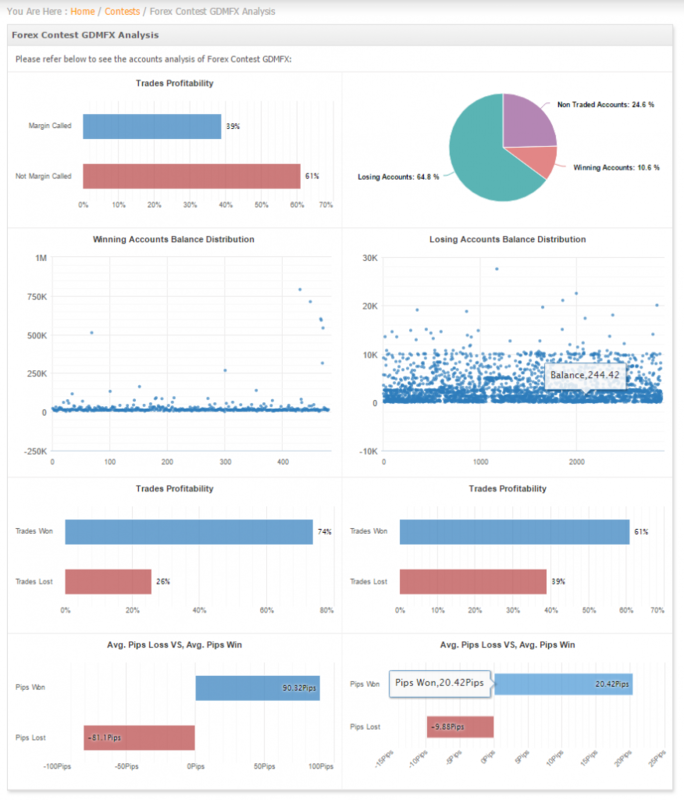 Average trade result in pips showed that winners had on average 2.57 times larger win than of a losing account as well as 5.42 times larger losses. 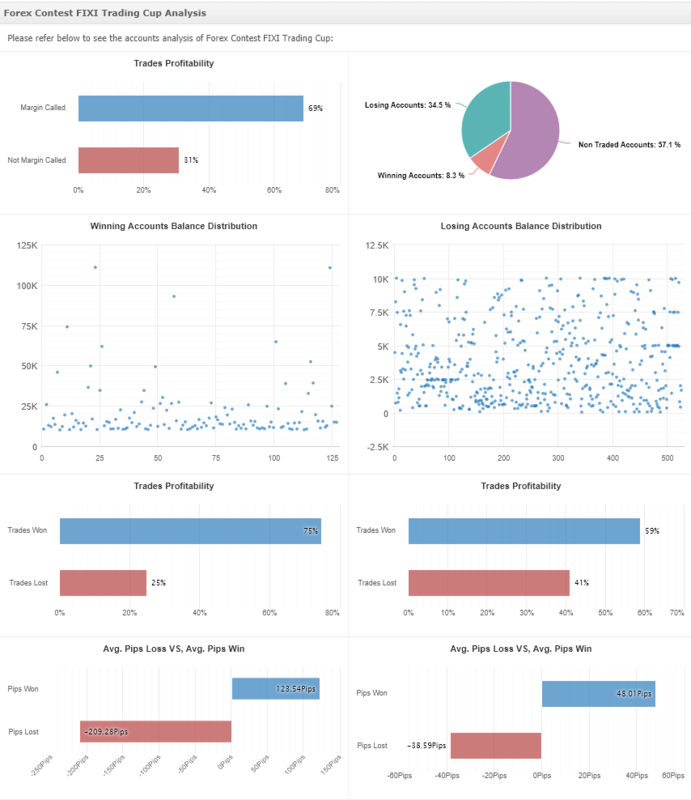 Trades profitability was very much similar between winning and losing accounts: 73%/61% of winning trades and 27%/39% of losing trades, respectively. Average trade result in pips showed that winners had on average 2.1 times larger win than of a losing account as well as 3.7 times larger losses. Trading will commence on July 1st and will end after a month of trading, after which the winners will be announced. Trading will commence on June 3rd and will end after a month of trading, after which the winners will be announced. 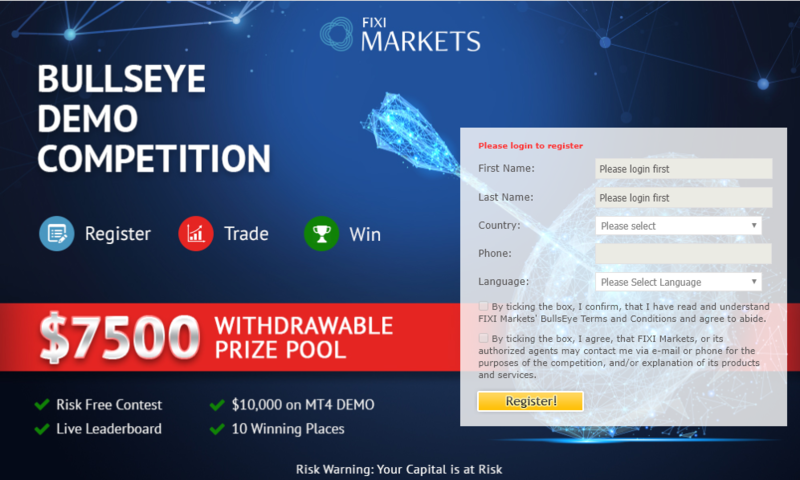 As seen in the analysis of the contests, a high percentage of participants traded their accounts (71.6%) out of which, 13.4% were profitable. 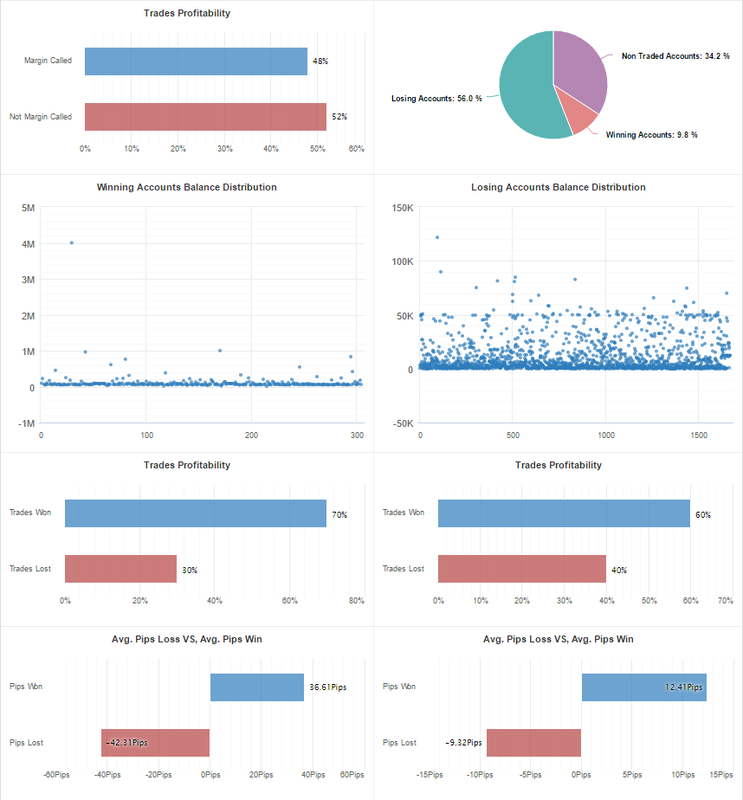 Trades profitability was very much similar between winning and losing accounts: 74%/58% of winning trades and 26%/42% of losing trades, respectively. Average trade result in pips showed that winners had on average 1.9 times larger win than of a losing account as well as 3.8 times larger losses. We would like to remind the winners that in order to claim the prize you must register and complete the verification with Arum Capital. Please note In case discrepancies are found in the data initially provided by the winner and the supplied documents, the winner shall be disqualified. In case the winner is unable to open a live account within 20 business days with the broker, he/she will be disqualified. *Withdrawal is only available via Skrill and Netteller payment systems. 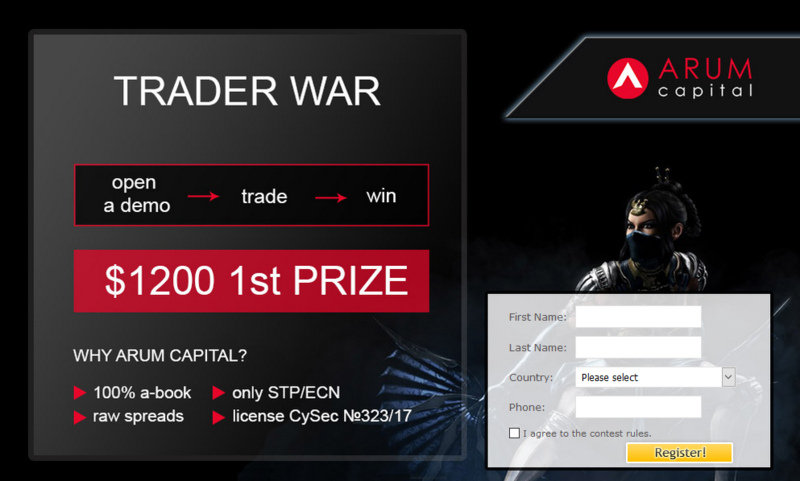 Trading will start on March 26th and will end after a month of trading, after which the winners will be announced. 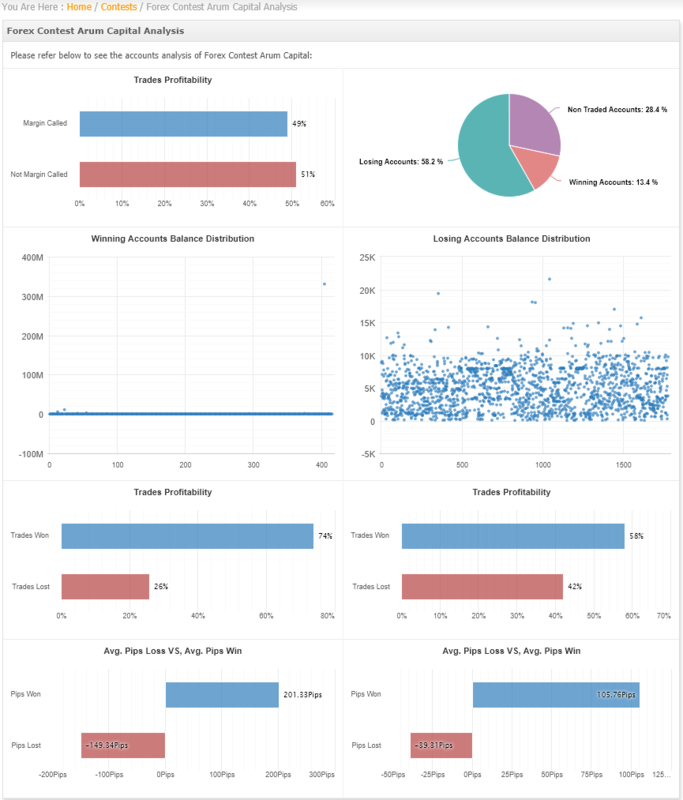 Looking at the results, it is noticable that manual trading shows much more consistent trading and as such, competitors were evenly distributed along the performance axis. Moreover, a high percentage (75%) of registrants participated in the contest of which over 10% were profitable. 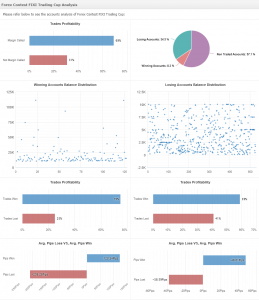 Trades profitablity was very much similar between winning and losing accounts: 74%/61% of winning trades and 26%/39% of losing trades, respectively. 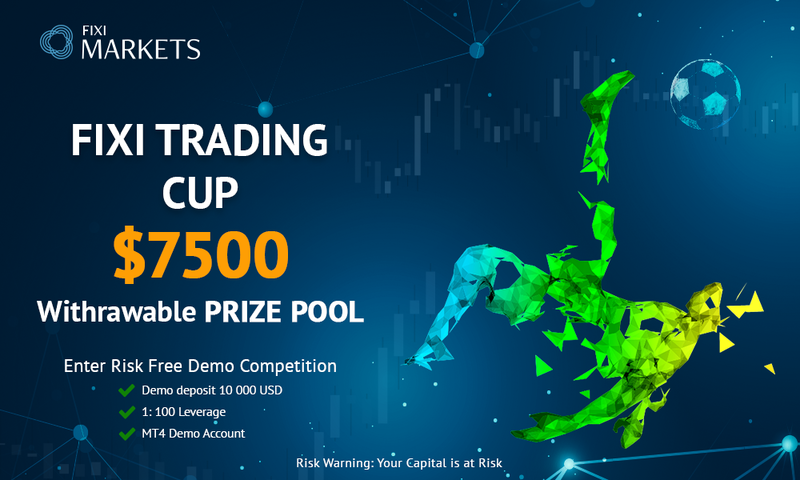 Avergage trade result in pips showed that winners had on average 4.5 times larger win than of a losing account as well as 8 times larger losses. Thank you all who took part in the contest and see you next time. If you have any feedback or comments, we would love to hear it. 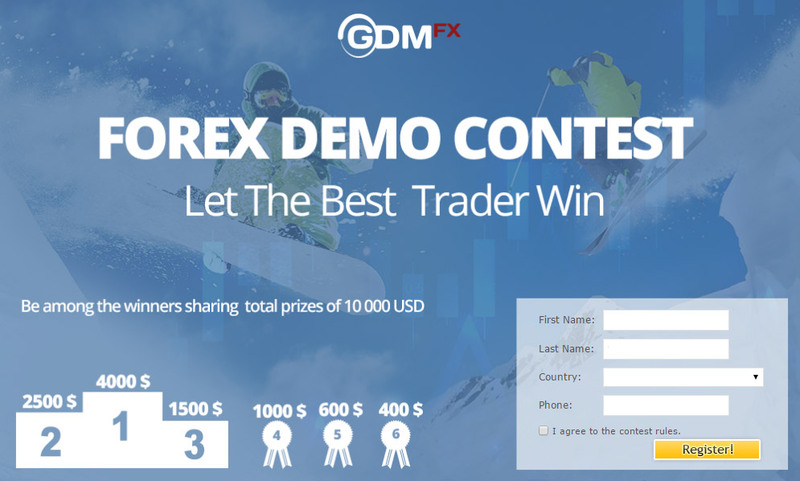 We’re happy to announce a first contest for 2017, this time accepting manual trading only (no Expert Advisors!). Each competitor will start with a $10k demo account with a 1:200 leverage. Good luck and may the best trader win!